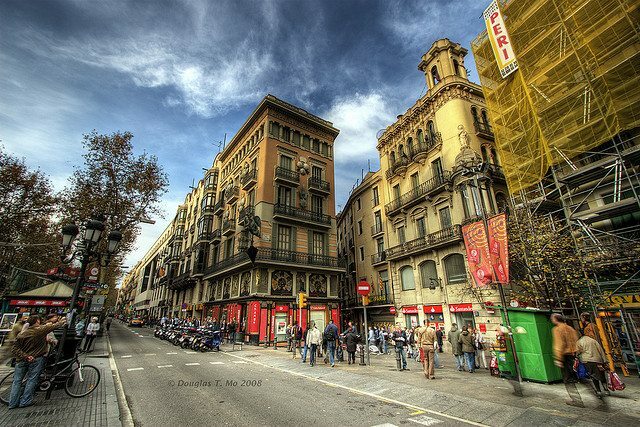 Las Ramblas are the central boulevards in Barcelona. 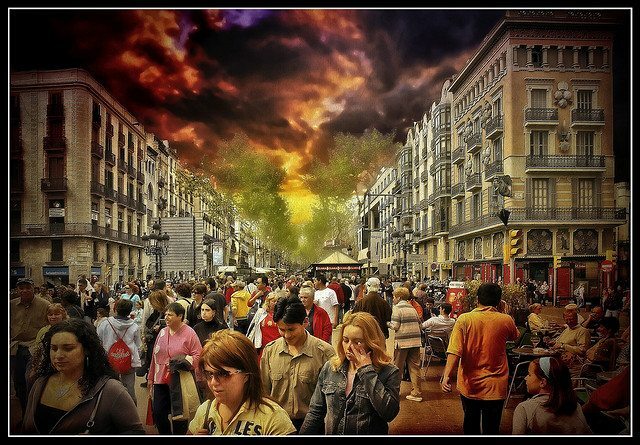 Every visitor to Barcelona should take a walk down Las Ramblas at least once and take in the colorful activity of thousands of tourists, street performers and painters. The numerous kiosks decorate the boulevard with a wide selection of flowers, newspaper and birds (yes, live birds!). 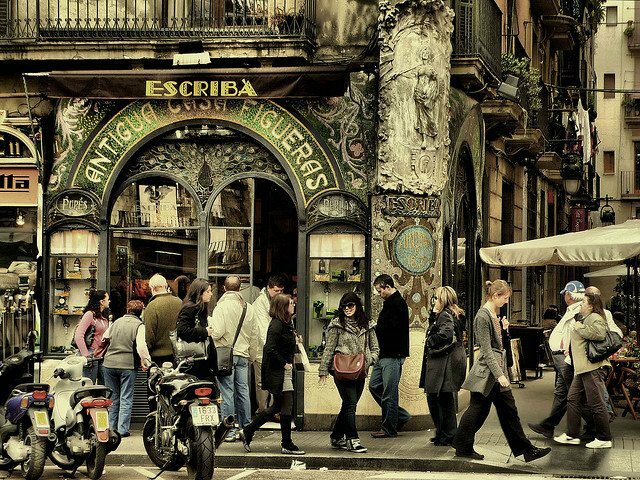 Pleasant cafés along the Ramblas invite you to take a break and those who wish to shop will find all kinds of clothes shops as well as the typical souvenir shops. 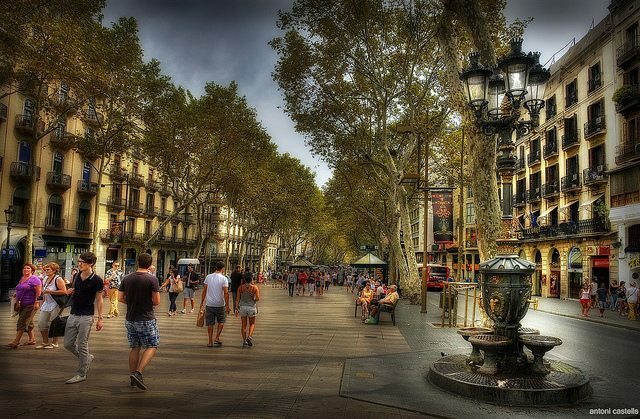 Every section of the Ramblas has a different name, for example, the first at Plaça Catalunya is called Rambla de Canaletas, the last section up to Maremagnum at the old port (Port Vell), is called Rambla de Mar. For this reason they use the plural form in Barcelona to talk about the Ramblas. Font de Canaletes: In the first section of the Ramblas is this very important fountain for Barcelona, dating from the 19th century. Legend has it that whoever drinks water from this fountain will return to Barcelona. Reial Academia de Ciencias i Arts: This building was converted into a theatre in 1910. Barcelona’s first official clock can be seen on its façade. Palau Moja: a classic building with exhibitions in the main hall. 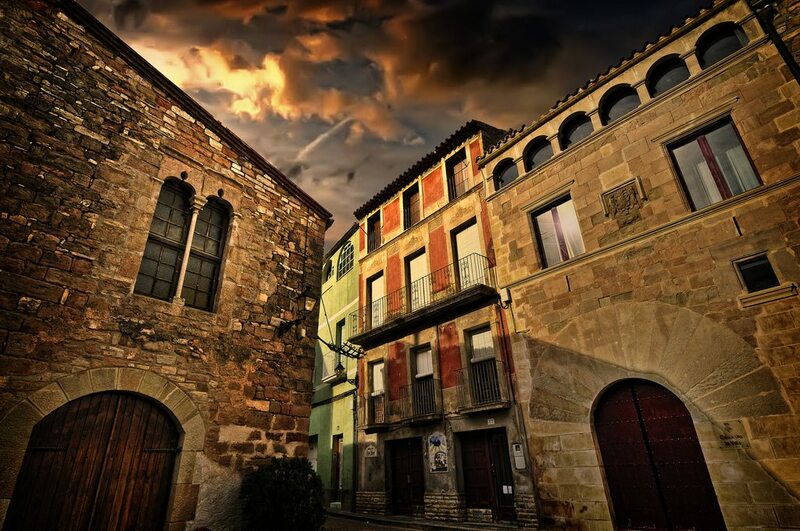 Palau de la Virreina: one of Catalonia’s most important civil building works in the Barroque style (1778), here you can find the town hall’s culture department and a long-term exhibition of the “Gegants de Barcelona Ciutat” and the “Àliga de Barcelona”. The famous market “la Boqueria”: conveniently situated halfway down the Ramblas is this colourful market, which many say is the most beautiful in the world. Palau Güell: This neo-Gothic palace is one of Gaudi’s main works of art, which he built for his patron Eusebi Güell. It is a little packed in among the buildings, so the façade is not really shown to its full advantage. Plaza Real square (Cat. Plaça Reial): a short side street leads off the Ramblas to this palm-filled square surrounded by an arched walkway. Here you can find numerous bars and nightclubs, however, at the weekend it is a popular meeting place for stamp and coin collectors. Wax museum (Museu de Cera): At the bottom end of the Ramblas, the wax museum with over 300 exhibits can be found in a 19th century building. In the historic centre close to the Ramblas you can see: Barcelona cathedral, Plaça Sant Jaume and the Gothic quarter (Barri Gotic), the neighbourhood of El Raval and the Born quarter.